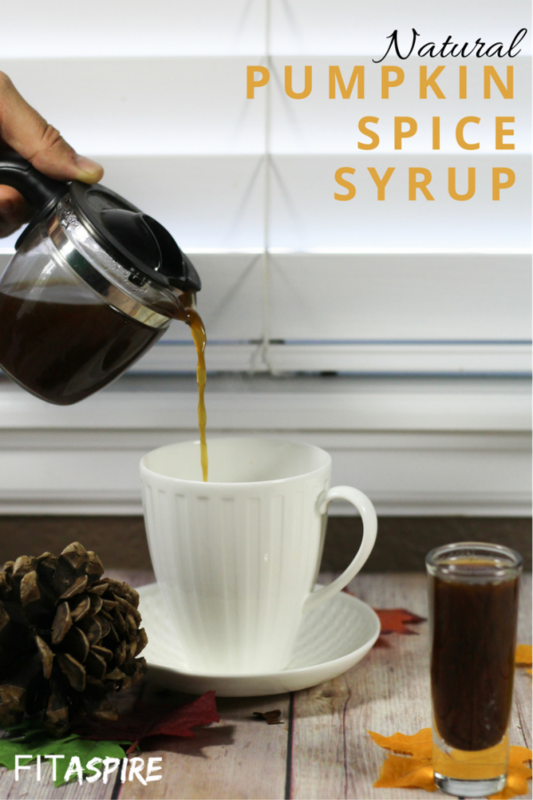 Make your own PSL (pumpkin spice latte) or other pumpkin spice coffee treats with this simply pumpkin spice syrup. 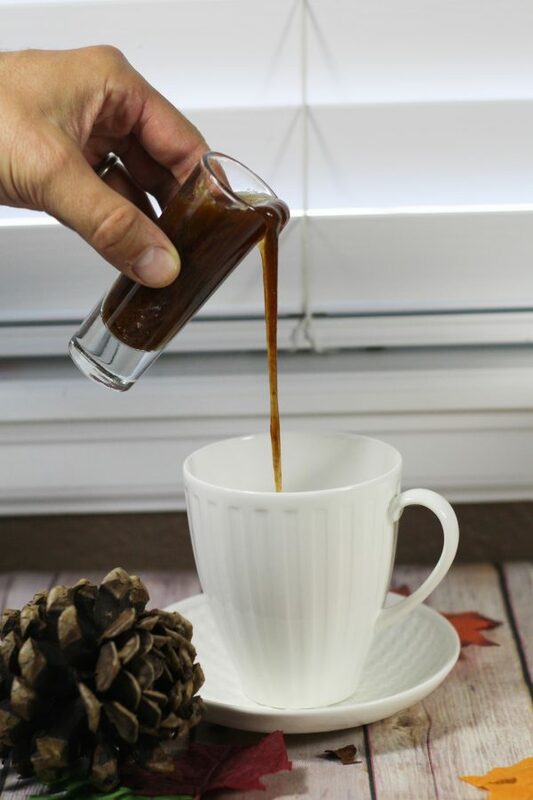 It takes just a few minutes to create this syrup, which will help you enjoy a chemical-free version of this popular drink at home for weeks! Most Friday mornings, Kirk and I start the day with a coffee date. We live less than a mile from a Starbucks, with walking trails that go from our street to the store. When the weather is nice, we start the morning with a leisurely walk to Starbucks, often bringing the dogs with us for a slow start to the day. We typically choose an Americano or Flat White, because we both prefer espresso to drip coffee. 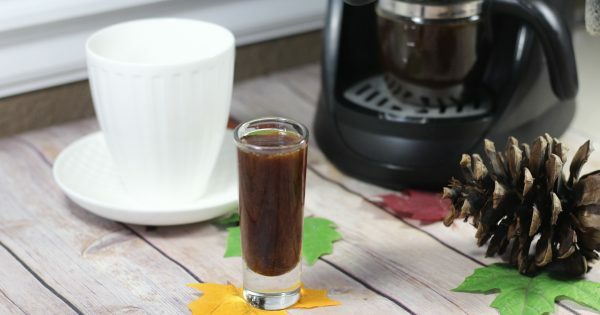 When the Pumpkin Spice Latte was introduced again a few weeks ago, I decided it would be fun to make a more natural version of the syrup at home. I try to keep our fridge and pantry stocked with natural products, so it was time to clean up our coffee syrups. Now that I know how easy this is to make, I’ll be making my own coffee syrup more often! Basically, this coffee syrup is just a spiced version of simple syrup. You probably know simple syrup for making cocktails, but in this case we’re using it to add fall flavor to our morning coffee. You can use this syrup to add pumpkin spice flavor to any coffee drink you prefer. We typically use ours in an Americano – just 2 shots of espresso, water, and pumpkin spice syrup. The syrup separates over time, but if you pop it in the microwave (or back on the stove), the heat will help incorporate things back together. Combine all ingredients in a small sauce pan over medium-high heat. Stir until syrup is combined. Pour into a small mason jar for storage. To use, pour about a teaspoon in your favorite coffee drink! You can use any pumpkin pie spice that you like in this recipe, but we like this homemade pumpkin pie spice recipe from Pioneer Woman. Kirk also used this homemade spice in his latest homebrew batch of pumpkin beer, which got rave reviews from the neighbors. I really think homemade spice blends are the best!